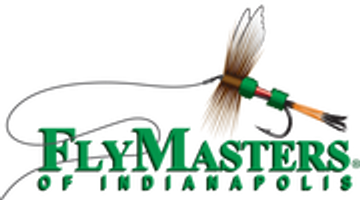 For over 20 years, it has been FlyMasters ongoing mission to provide outdoor enthusiasts like you with the finest quality gear and the highest level of customer service in the industry. We understand that sometimes there is a need to return merchandise purchased through our store, either through our web site or within our building. The following document outlines our return policy on all purchases. FlyMasters will provide a full refund or exchange for any products returned to our physical location within 24 hours of their purchase. The items must be returned with the original tags and or packaging for the item(s) and unused or damaged in order to receive a refund or exchange. Refunds are provided as an in store credit. FlyMasters will provide a full refund or exchange for any products purchased through our online store that are returned to our physical location within 1 week (from the time you receive the products) of their purchase. The items must be returned with the original tags and or packaging for the item(s) and unused or damaged in order to receive a refund or exchange. Refunds are provided as an in store credit. FlyMasters has the following exceptions to the above stated return policies. Any products containing feathers or fur are excluded from the above stated return policies. Any live bait purchases are excluded from the above stated return policy. Any consumable products such as food, lipbalm, sunscreen and insect repellent is also excluded from the above stated return Policy. For items damaged during shipment or drop shipped directly from the manufacturer please call FlyMasters at 317-570-9811 to facilitate the replacement of the item. Some products we sell are covered by a manufacturer's warranty that requires items to be sent directly to the manufacturer for replacement or repair. FlyMasters reserves the right to refuse the return of any merchandise that is damaged or used by the purchaser. If there are any questions regarding the Return & Exhange policies of this website you may contact us using the information below.